We would like to introduce a cool project that launched today on Kickstarter coming from the makers of Hidden Time Watch. Now they are back and introducing Order. They have partnered with we partnered with graphic designers Hamish Smyth and Jesse Reed. You must have heard about their well-known projects like the Standards Manual, the reissue of NYCTA Graphics Standards Manual when they were at Pentagram. Following their departure, the duo team opened the only bookstore in New York specializing in graphic design (would love to visit!) and it sits right in front of their design office, Order. Now, Anicorn is continuing their journey in New York City—the location chosen by backers of their first campaign on Kickstarter—and partnering with graphic designers Hamish Smyth and Jesse Reed to create the next The Trio of Time timepiece—“Order.”. Last year, they have launched The Trio of Time, a collaboration where we visit three different cities around the globe to partner with local designers and explore their perception of time. They are thrilled to introduce our newest collaboration—”Order”—a timepiece inspired by New York City. Order has no watch hands. 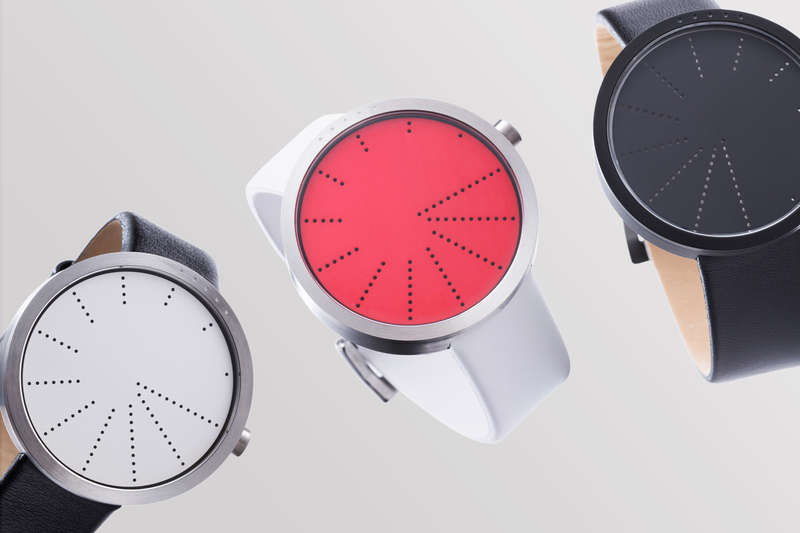 Instead, the entire watchface is perforated with an ascending number of dots, which rotate to align with the frame and tell the time in 15 minute intervals. The designers hope to inspire the wearer to not worry so much about the exact time; instead, to focus on the world around them. The 40mm case is designed for both men and women. Order runs on a Ronda 512 Swiss Parts Movement. The watch has a 316L stainless-steel enclosed casing, available in black or silver. The casing is ultra thin—only 8.7mm. All straps are interchangeable with TTT#1—Hidden Time Watch—thanks to the smart docking system.